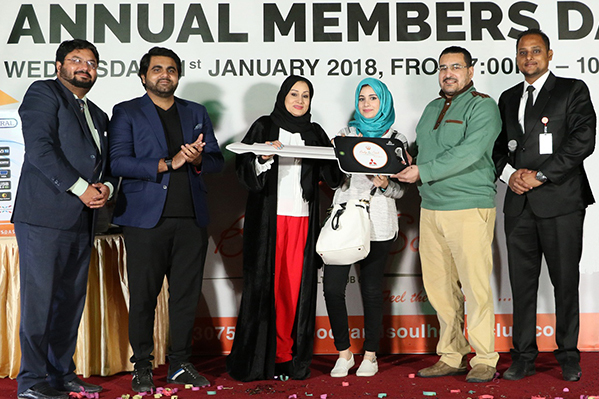 Body & Soul Health Club and Spa, the award-winning network of health clubs operated by the Hospitality Division of Thumbay Group UAE conducted the Annual Members Day & Mega Car Raffle Draw on Wednesday, 31st January 2018. The event was held at the Body & Soul Health Club in Al Jurf – Ajman, and included fitness demonstrations and games as well as interactive sessions with trainers. The chief guest of the function was Mr. Akram Moideen Thumbay, Board Member Thumbay Group, Director Operations Construction & Renovation Division and Director – Thumbay Technologies. Mr. Mahmoud Elmansoury, Sports Coordinator of the Ministry of Education, Dubai was the special guest. Mr. Farhad C, Board Member Thumbay Group, Director – Hospitality Division of Thumbay Group, presided. 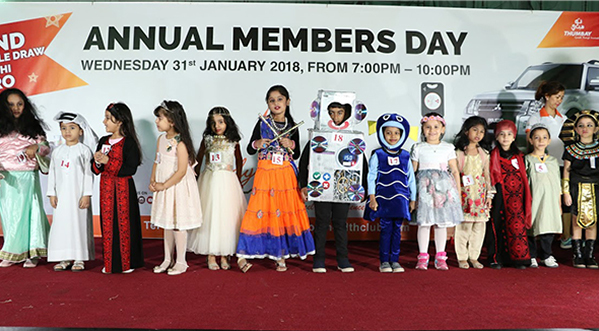 The formal opening was followed by a fancy dress competition of the members of Body & Soul’s Little Souls Kids Gym and Junior Active Club (JAC). This was followed by ‘Extreme Fitness Performance’ at the recently launched ‘O2 Fitness Zone’, an open air gym and cross-fit zone at Body & Soul Health Club, considered the first of its kind in the region. 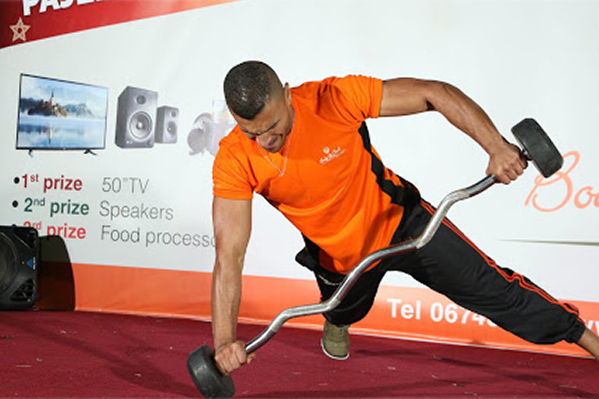 The certified fitness Instructors of Body & Soul also conducted demonstrations of Aerobics and fitness exercises. The Mega Raffle Draw was conducted for Body & Soul members, and its most important criterion was that the winner had to be in attendance to claim the prize; a brand new Mitsubishi Pajero. After 9 picks, Mr. Samer Belal Ahmad was declared the winner. 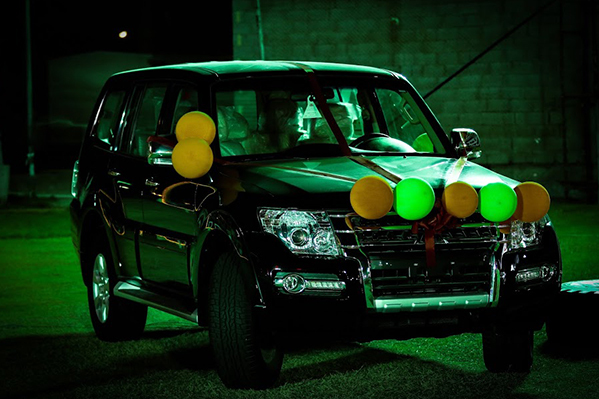 The keys of the car were presented by the chief guest. Body & Soul’s health clubs have been gaining popularity as family fitness destinations offering activities for all ages and fitness levels. Facilities include state-of-the-art equipment, group exercise classes, swimming, steam and sauna and much more. The clubs have separate facilities for women and children. The brand also operates exclusive ‘ladies only’ clubs as well as Body & Soul ELITE Health Club offering premium services. “Body & Soul health clubs are built as spaces for people to have a great workout and to socialize, providing amenities which inspire customers to relax at the club longer,” Mr. Farhad C. said. Body and Soul presently has five outlets in the UAE, including ‘ELITE’ and ‘ladies only’ clubs, offering extensive sports, recreation, fitness, health, social and youth programs. The sixth club is slated to open in Fujairah soon. Body & Soul’s facilities, infrastructure and operating standards are at par with the international standards of health clubs. All classes and workouts are supervised by highly trained, certified instructors. Operated by the Hospitality Division of Thumbay Group, the brand is all set for a massive expansion worldwide in accordance with Thumbay Group’s strategic plans, which will see an addition of 25 new family-centered health clubs by 2022.